Tag Archive for "ad extensions"
Google has just released new ad extensions: price extensions. They are new extensions that advertisers can use in their AdWords mobile ads. It allows them to easily and quickly show prices for different services or products. What are the price extensions’ requirements? They are only available on mobile ads for now (so you need to have a mobile friendly website). You need to set up a minimum of 3 price extensions and a maximum of 8. Your mobile ad needs to appear in the top ad position (otherwise it won’t be eligible for this new extension). They are only available in English at the moment. How to set up price extensions? Just as other ad extensions, price extensions are easily set up in AdWords. They can be set at account, campaign or ad group level. You will find them in the ad extensions tab, under “Price extensions” in the drop-down menu. A header (clickable title, up to 25 characters). A description (up to 25 characters). A final URL (the landing page related to the extension – the same landing page can be used for a set of ad extensions). What are the benefits of price extensions? They give extra information to potential customers with minimal work. You don’t need to include your price in your ad anymore and you can use that extra space to focus on other unique selling points in your ads. They are one click away to conversions: when users click on your price extension, they are redirected to your website straight away. They are easily set up, updated and can be used for special offers. They are flexible and customizable. Why Are Adwords Ad Extensions So Important? We know that the more Adwords ad extensions we use with our campaigns the higher or even cheaper an ad’s position can be. If you weren’t aware of this yet, in October of 2013 Adwords adjusted its method of calculating ad rank by adding in ad extensions as a factor. Prior to this change it worked so that ad rank was calculated by max. cost/click times quality score. Now it is calculated by max cpc. times quality score times the quality and usage of ad extensions. Adwords ad extensions are important for reasons other than just getting a better CPC or higher ad rank. Ad extensions increase the real estate you contain the above the fold. The more real estate you hold the higher your chances of getting your ad seen, clicked on and converted through. If you are a local business, location extensions are going to be a critical factor to your campaigns by showing your potential customers that you are in their area and not just a national company trying to get their business. This Adwords ad extension tells people how close you are to them and give them a chance to learn more about your business. To add Location Extensions, you must have a Google Places account setup under the same email that you use to access your Adwords account. From there just go into the Ad Extensions tab, choose Location Extensions from the dropdown box and click +Location Extension and connect to your Google Places account. 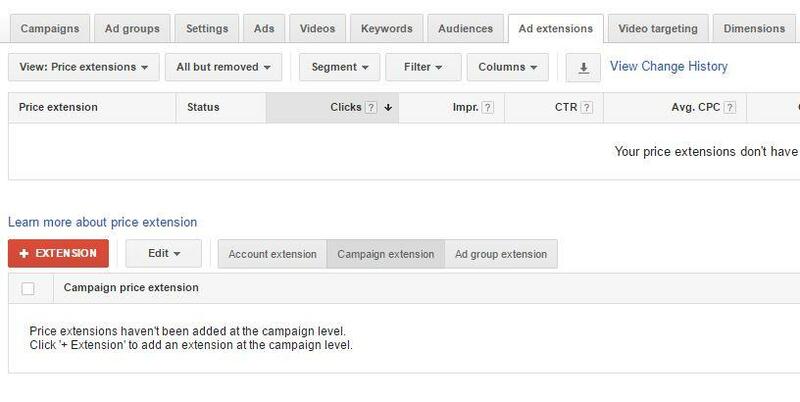 When you have location extensions setup in your campaigns/adgroups, you can go into the dimensions tab, select Distance from the dropdown menu and see how far away from your location your ads are being seen, clicked on or converted from. With this insight you can optimize your ads to show within the distance that works best for your business by increasing/lowering your radius around your location that ads are being targeted to. Sitelink extensions give more information to the potential customer about your business and website. If you have multiple categories that are associated to different adgroups or campaigns it is best practice to setup sitelinks that are specific to those adgroups and/or campaigns. This increases your relevance of the adgroup and/or campaign and helps the potential customer understand what variations or choices within that category you have available to them. Using sitelink descriptions isn’t a bad idea either. This can increase the real estate of your ad above the fold if shown which is always great. These are not always shown and it is dependent on whether Google’s algorithm displays them or not, but it doesn’t ever hurt to have them just in case. If phone calls are important to your business then setting up call extensions are a must. This gives a person a chance, if they are on a device able to make calls to click the number or call button and call you right away rather than visit the website and dial the number from there. With call extensions setup it is important to setup conversion tracking for click to calls from ads so you can see which call conversions came in on specific campaigns, adgroups and keywords. Also with call extensions setup you can go into the dimensions tab and select call details. This will give you insight into where the call came from by area code, the time of the phone call and what day/time the call came in. With this information you can better optimize your advertising by day of the week, time and location to increase your calls and lower your costs per conversion. If you business has an app in the Google Play store why not market this alongside your other search marketing efforts. You first must connect your Google Play Store Console account with your Adwords account which you can do by clicking on the gear icon in the top right hand corner and then click Linked Accounts. From there just link Google Play. Similar to location extensions, your Google Developer Console (where your app is held) must be the same login as your Google Adwords account. By marketing an app along with your search ads you can increase engagement with customers or potential customers and build a credibility with your audience. Soon you will see them searching for your brand and not just your products/services which results in a lower cost/click and potentially higher conversion rates. Review extensions are great to have but not always able to be used by the regular joe. These extensions are only available to you if there is a third party review of your business or services on a different website. If you have a third party review, it is a good place to use this extension and let your potential customers know how reputable your business is. These are some of the best extensions to have. You must use a minimum of 2 in your campaigns/adgroups. It allows you to extend the length of your ad copy and highlight important areas of your business. Use call out extensions to say more about your business, services and/or products. Use callouts like you would sitelinks and setup individual sets of call out extensions per ad group and campaign if you can. This will help increase the relevance of your ads. With an increase in relevance comes an increase in quality score and in turn a decrease in cost/click for a specific position you are targeting. This is the newest addition to the ad extension family. Structured Snippets are similar to Callout Extensions but there is a key difference. Adwords tells us that Callout Extensions are used to highlight what makes your business, services, products unique. Structured Snippets are used to highlight a specific aspect of the products/services your offer. For an example let’s use an Atlanta based realtor that has an Adwords account and wants to expand his ads for a campaign that focuses on high end real estate. This realtor would set his structured snippets to neighborhoods and for value 1 use Buckhead, value 2 use Ansley, value 3 use Druid Hills. 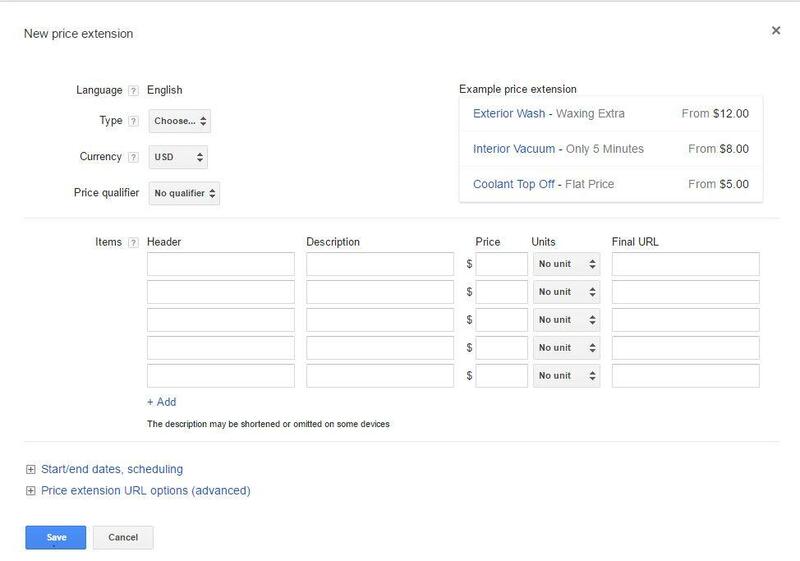 These Structured Snippets can also show at the same time as the Callout Extensions thereby increasing your ad real estate and highlighting key information a person searching for your business’ products/services would want to know more about. We can see that using ad extensions correctly not only increases our ad real estate but increases the relevance of our ads to the searches done that show it. This helps us get more conversions by displaying the more in-depth information needed for the question (search query) at hand. 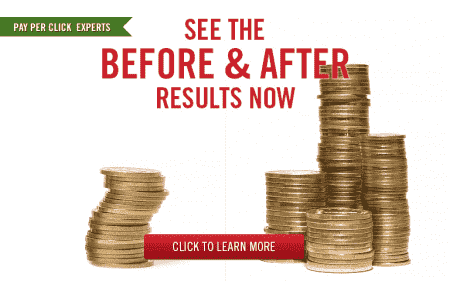 When we use these ad extensions in combination with each other we see a lower cost/click to obtain our given position, a possible lower cost/conversion and in turn higher profits for the business.